Croner majored in geography and received his bachelor’s degree from Towson University and his master’s and doctoral degrees from Michigan State University. He studied statistics at Harvard University. Prior to graduate school, Croner served as an infantry officer as a captain and helicopter navigator in the US Marine Corps. “The military served to advance my geographic foundations, both through formal land and air navigation instruction, and instill in me an indispensable perspective of mapping in dynamic time and space. Croner was the first Department of Health and Human Services (HHS) representative to the Federal Geographic Data Committee (FGDC), where he served with distinction and guided HHS to member status. He is responsible for the successful development of federal GIS interagency agreements with the US Bureau of Census, the US Geological Survey (USGS) and the US Department of Housing and Urban Development to leverage geospatial investments; create the first long-term collaborative small area GIS study of minority health between CDC and Cleveland’s Center for Community Solutions (CCS); and contribute to the planning and instruction of the USGS Historically Black Colleges and Universities (HBCU) Summer Faculty GIS Workshops program. He was tasked by the CDC to help design CDC’s first Enterprise GIS Roadmap. 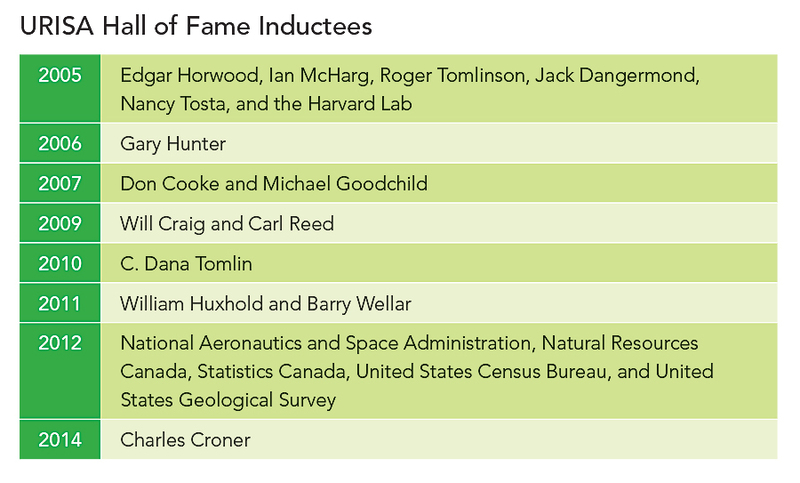 Visit URISA’s GIS Hall of Fame to learn about the accomplishments of all inductees.